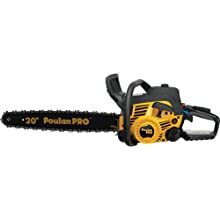 Finding the best cheap chainsaw under 200$ can be a little challenging, but certainly not impossible. 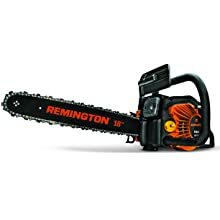 You do not want to spend a fortune on a chainsaw you use occasionally while cutting firewood, trimming trees, getting rid of dead limbs or maybe cutting a tree after a storm. Unless you plan to use it for commercial purposes, there is simply no need to spend a fortune on it. 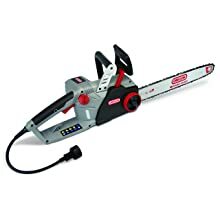 With these ideas in mind, this search can be quite challenging, but not impossible if you research your choices and look for some cheap chainsaw reviews. In fact, this whole adventure becomes a matter of hours only. It will impress you with its power. 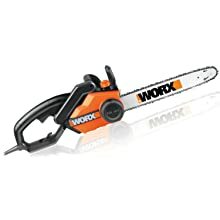 If you have used other chainsaws before, you will notice that it can easily compete with gas powered engines, yet it is electric. It comes with 3.5HP and 14.5amp. In terms of safety, it has a low kickback bar, as well as a safety chain brake feature. This feature stops the chainsaw if any sudden and abrupt movements are detected. Adjusting the model is a piece of cake, even if you got no experience with it. Adjusting the tension might look tricky, but this mechanism prevents excessive or exaggerated tightening. Therefore, it will maintain just the right tension for hundreds of different uses. The automatic chain lubrication is worth some attention too. As for replacement chains, you can tighten or install them without requiring any tools at all. It is a manual and effortless job. It is also electric, yet it offers an outstanding power. The high power motor brings 15amp for a fast cutting operation. The reduced kickback guide bar measures 18 inches. Therefore, you can go through thick pieces of wood with just one slide. Make sure to adjust the chain responsibly. You do not require any tools to do it though. Plus, this model comes with the patented PowerSharp system, which makes sharpening more efficient than ever. It works as you run the machine. The safety is underlined by the built-in chain brake, which stops the machine if any abrupt movements are noticed. You do not have to perform any maintenance either. The overall design is compact and ergonomic. It is easy to keep the chainsaw balanced, especially since the handle is also molded and comes with low vibrations. It is one of the most attractive and cost efficient units on the market. It runs with gasoline, so its power is incontestable. It is great for cutting firewood, cleaning up trees and remains after storms, preparing firewood and limbing. It comes with a 51cc two cycle engine, while the low kickback bar measures 18 inches. It comes with the unique QuickStart technology. It is self explanatory – the machine starts in any weather condition with no issues at all. Pull starts are also effortless and require less strength. Handles are comfortable to hold, but the anti-vibration features also contribute to this level of comfort. Vibrations can seriously affect this experience and maneuverability, hence the necessity of extra care. The package comes with the chain oil, as well as a solid and durable case. It represents an ideal choice if you are looking for a cordless operation, but without the spills, mess and emissions of gasoline. This unit comes with a 40V MAX lithium ion battery. It has a long runtime, as well as an impressive lifespan. It can maintain its charge as well, but it also offers enough power for most domestic operations. The Oregon low kickback bar measures 12 inches. It is not the largest in this segment, but it is quite helpful for basic operations, such as gardening, clearing dead limbs and even cutting trees after severe storms. The machine has its own automatic oiling system, so you do not have to worry about this aspect. It is thoroughly maintained in the best possible shape without any effort. When it comes to tensioning the chain, you can do it without any tools at all. It brings in the power and mobility of gasoline. With all these, it releases less emissions than other similar units. It comes with the DuraLife engine, which is known for the outstanding durability. Also, the package will come with a carrying case too. Apart from the solid engine, the actual operation is just as attractive. Vibrations are almost impossible to sense due to the professional handles. Fatigue and discomfort will never kick in. Even when starting the machine, it will demand less effort and strength when pulling. The air filter system is clean and easy to maintain. Plus, maintenance does not imply oiling the unit because the process is automatic as long as you got enough oil in it. The whole unit weighs 23.3 pounds – a little more than electric or battery operated chainsaws. However, it compensates for the power and mobility. The ease of operation is probably the most attractive part in a chainsaw. Basically, this is actually why most people choose the chainsaw. You can cut a large tree with a regular saw too. You can also get some firewood ready with just an ax. But then, it would take plenty of time. With these ideas in mind, doing it automatically can make this job extremely fast. On a different note, the physical effort is minimum, so you do not have to exhaust yourself in the attempt to get the job done. It depends on what kind of chainsaw you get. You just need some gasoline or an electric power source, then turn the switch on and you can start cutting. Time is quite precious, so this is why more and more people try to gain as much as possible. You might trim the trees in your front yard with a classic saw, but it might take days. Everything changes with a chainsaw though, as it is automatic and can finish your job up to 10 times faster. However, just like any other thing in life, chainsaws are not perfect, so they do come with some drawbacks too. For example, they can get pretty risky if you are not experienced or attentive. Sure, some models are designed for newbies. Experience is not always mandatory. But when it comes to attention, you better be careful. There are thousands of severe injuries reported every year, not to mention the deaths. Simply put, these things can get a little risky if you are not careful. Pay special attention to the features too. Many modern chainsaws come with safety features to prevent the operator from getting severely injured. Be careful about what you want or expect from the chainsaw, as these needs will dictate the final result. Assuming that you have already assessed the most common operations, it is time to move on to features. At this point, you have two different options. First, you got useful features, whether they are related to safety, convenience or speed. They are important and will make your life easier. Second, you got bells and whistles. They look cool and attractive at first. However, you will stop using them right away, so they will become a useless expense. Other than that, you got more types of chainsaws out there. The operation is the most important classification criteria – electric, battery operated and gasoline operated. Gasoline operated are quite large, but more powerful. Electric chainsaws are corded, while the battery operated ones have limited running times. Each model has its own characteristics. The bar length can help you determine the size and appropriate work. The longer this bar is, the easier it becomes to cut large diameter wood in one or two passes. These bars range between 6 and 20 inches. Commercial grade units can go even farther, yet a huge size is not just riskier, but also harder to control if you do not really need it. Engine displacement is yet another important element, especially in gasoline powered models. Think about the voltage in battery operated chainsaws, as well as the amperage in corded models. The higher these numbers are, the more powerful your chainsaw is. Power is more important if you deal with large trees or hardwood timber. It is also worth noting that all these considerations also mean extra weight – quite important if you need to cut in longer sessions. Also, the size is directly proportional with the vibration, discomfort and safety risks. 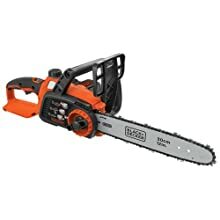 As a short final conclusion, chainsaws can get quite diversified. They come for all budgets out there, as long as you make sure that their specifications can match your expectations. This is what makes research so important. Apart from the official specs, it does pay off to go beyond them and check out the actual operation standards too.